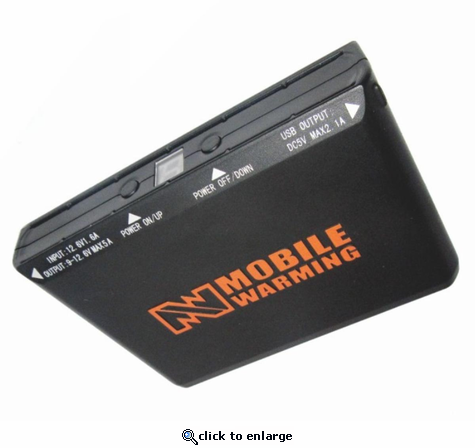 12v Rechargeable Battery Pack for use with Mobile Warming Dual Power Heated Garments. Can provide up to 20 hours of power. Please reference our Battery Chart for more information.